From now on you can use your Nectar points to get a Pizza at Pizza Hut. This is not in addition to Nectar’s Pizza Express partnership, as this redemption partner has disappeared quietly. Pizza Hut is the only place where you can get pizza for your points. How do I redeem my points at Pizza Hut? You need 1,000 Nectar points to redeem them for a Pizza Hut voucher. 1,000 Nectar points will get you a voucher for one full price pizza (individual sized on thin, pan, flatbread or gluten free base). The website to redeem your points is here. Your voucher will be emailed to you. The voucher is valid at selected Pizza Hut Restaurants in England, Scotland and Wales. The following stores are excluded: Bolton Gate, Bristol Cribbs Causeway, Centre:MK, Chippenham, Darlington, Glasgow Silverburn, Intu Lakeside, Isle of Wight, Kings Lynn, Llanelli, Lowestoft, London Marble Arch, Manchester Corporation Street, Peterborough, Plymouth Royal Parade, Poole Tower Park, Runcorn, St Helens, Stafford, Thanet, Yeovil. Not valid at Pizza Hut Delivery or restaurants in Northern Ireland or Jersey. If you order more than one pizza, the lowest priced pizza will be free. 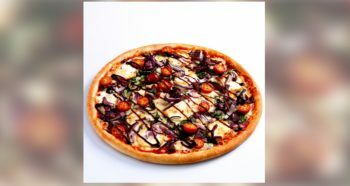 Excluded are: Stuffed Crust, additional toppings, create your own, any other mains, starters and sides, desserts and drinks. Nectar vouchers will be valid throughout the week, excluding Bank Holidays and also 16th – 31st December. More about the new partnership is here. Not in Northern Ireland, unlike Pizza Express. That’s simply selling customers here short.